I’ve combined a couple of challenges for my card today. 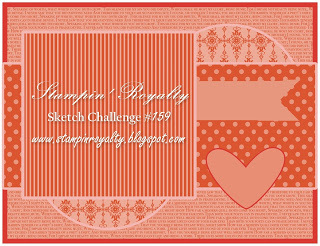 The sketch challenge from Stampin’ Royalty and the colour challenge from Inspired by Stamping. I’ve taken a bit of creative licence with the sketch and moved one of the half circles on my card, just because my doily then looked complete. A few weeks ago I brought some Inspired by Stamping stamp sets as I wanted to try some out some different stamps. It’s been a long time since I’ve used anything that’s not Stampin’ Up!. I really love Stampin’ Up! and will be a demonstrator for a while yet, but I thought I would check out some other stamps every now and then. Here’s my card with a mix of Inspired by Stamping and Stampin’ Up! Gorgeous card! 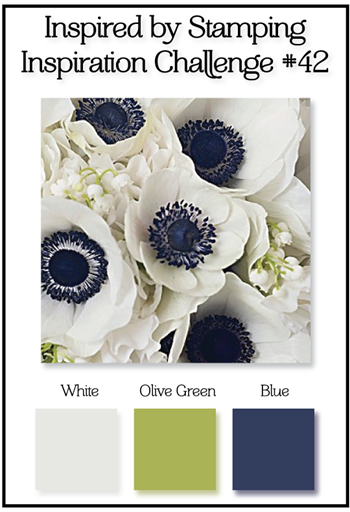 I love the color combo on this challenge and your layout design is beautiful! 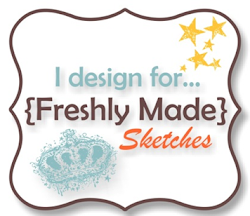 So pretty Narelle, I really love coming to your blog and seeing your work. 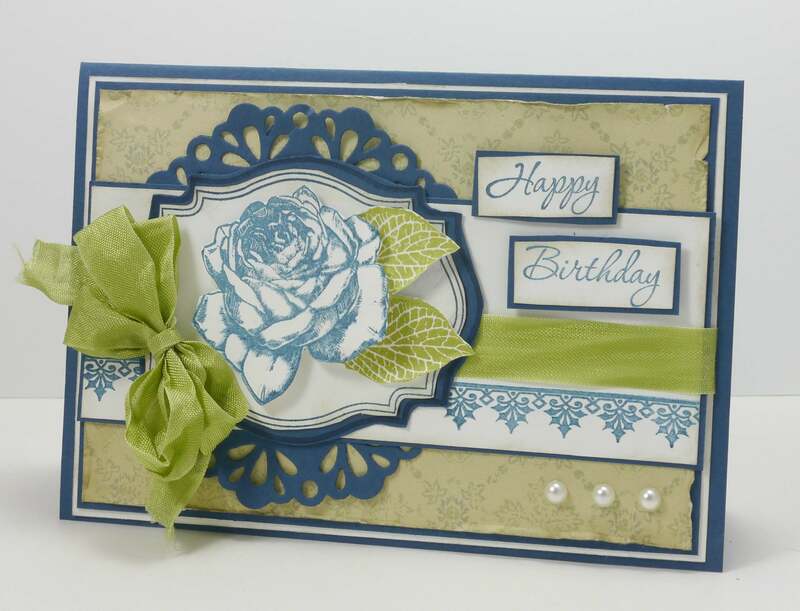 Love the die cut, love the flowers and leaves stamp. Thanks so much for sharing your work with us at IBSIC!